by MEGAN NEESE, Future Lab, Nissan Motor Ltd. I have always worked at or with OEMs (original equipment manufacturing companies) in the industrial design and product development industry. The work has ranged from very large products such as sleeper cabins for long haul trucks and farming equipment down to very small products in the consumer electronics industry, but consistently, the emphasis has always been on products. The very nature of being an equipment maker requires expertise in integrating parts, components, and systems into physical objects. Product development processes have always been structurally similar, focused on integration and related at some level to Stage Gate or Six Sigma. They reflect the constraints of manufacturing, in which decisions are cascading to ensure forward momentum and reduce last-minute changes that could have unforeseen ricochet effects on years of decisions that have already been made. And they work—so long as you don’t consider software, data, automation, or frankly any of the trends in the tech industry for fast, agile, real-time changes in the product offering. This new system of systems brings with it a series of fundamental questions: What industry are we in? Who are our customers? What are our core competencies? A seemingly straightforward product development process of making decisions in a tidy cascade is of the antithesis this complicated mash-up of products, services, and systems where a change in one system can affect the usability and functionality of products and services in seemingly unrelated systems. In this world, what is a product? Is the product the physical object and all of the associated data that it gathers, or is it the service that this information enables? A tractor that knows how many rows it planted in a given day can help plan and predict seasonal planting trends, order new seed, or suggest alternative workflows. Tech companies have long understood this, and today many “products” have no physical form at all—even insurance policies and bank accounts are now conceptualized as products. Historically, job listings for “product designers” would have focused on expectations for design for manufacturing, including experience in CAD modeling and expertise in materials and processes. Today if you look for “product design” jobs you will find an entirely different sort of description. Similarly, the entire notion of “shipping a product” is being re-construed, at Uber this is referring to “weathering release cycles” whereas at Nissan this is loading vehicles onto a containers ship. As we broaden our definition of “product,” we necessarily must broaden the scope of our research to understand the system that our products are now part of. What we consider to be our “market” might fundamentally change and how we study that market may change as well. As a car company, we have found that new pressures on the industry and shifting expectations for smarter, connected products have very much changed the scope of our market. Our definition of “customer” might no longer be restricted to individual owners, but includes a series of stakeholders from city planners to service providers. How we study and plan for this future has evolved, if our products will be connected we must understand what systems these products are connecting to. Cities are already re-shaping the role and relevance of cars. Big cities in China, such as Beijing and Shanghai, are limiting license plate registration to artificially cap the size of their markets and address their massive problems of congestion and pollution. Cities in Europe and the U.S. are replacing vehicle lanes with bike lanes, creating initiatives to shift priority away from cars, increasing density and investing in transit to reduce CO2. New models for transportation planning are arising that might re-shape how people move within cities. Car dependency analyses show that factors such as culture, climate, politics, income, prices, and education do not provide consistent insights to explain car dependence, while urban design does, chiefly with respect to population and job densities. Urban design emerges as the most significant determinant of the travel patterns in cities around the world. The automotive industry has come to rely on urban planning to value and prioritize the role of the car in cities. As the urban planning discipline evolves and cities change their shape and perspective about cars, it has become imperative that we understand the future of cities and how those cities will be populated and planned. We’ve since begun interviewing city stakeholders from transportation to energy and land use departments, as well as non-profit organizations, planners, entrepreneurs, and small business owners. We can begin to understand how these disciplines work together to shape the system of the city, from policies, to budgets, to plans. Traditionally, if we were planning a new product we would start with market segmentation based on an interesting demographic cohort or emerging mindset. This would allow us to identify a target customer group, such as “business people,” whom we could then study ethnographically to uncover opportunities that we could address with a new product. For example, commuting is a relatively complicated driving scenario often fraught with functional and emotional needs. By understanding the complexity of a daily commuting situation we could have a clear problem for which to solve using the design process. But then, as we began to consider our problem space in the broader context of the future of the city we realized that this research and design process needed to change. Now that we are starting with a place, our segmentation is based on cities rather than mindset groups or product categories, our ethnography is based on that place (e.g. Jakarta) rather than a persona, and concepts are developed from a systems view rather than a problem space. To a practicing anthropologist, the notion of looking more holistically and systemically at a place rather than a problem may seem obvious, but to us and to the “typical” cascading product development process that required a customer, an object, and a well-defined problem space, this was very new. Instead of providing a description of a demographic cohort for recruiting for this research, we needed to build a broader, more balanced recruit across demographic groups, socio-economic strata, and mindsets all living within a specified place or system. This approach also required more field time for observation and participation in mobility systems—going on commutes, trying out different modes of transport, watching the flow into and out of schools and offices. The insight that came from studying place was new for us too. Typically, coming out of field we would begin to generate a wall of Post-it® notes, clumping together ideas and themes to describe needs we had found—a more flexible seating configuration or a more organized trunk. Here, we found ourselves with a much richer cultural understanding of what mobility meant in the cities we studied. This enabled us to develop a point of view about the role of mobility in these places that could both define a problem space that we could solve for and broaden our perspective beyond the current industry paradigm. The ideas that were generated as a result of this type of research were more systemic in nature. Unlike a traditional concept for a car that would problem solve around a scenario like a commute with product features such as Bluetooth connectivity, the concepts were addressing a new level of complexity, where the (cultural) system of mobility interfaced with the systems of land use, energy, and commerce. For example, the problem space might now include helping California to meet targets forCO2, creating proximity to a city’s greenspace, or increasing ridership per mile. These types of concepts require us to work more intensively across Nissan and with outside stakeholder groups. They also require new types of testing to understand how an idea influences the intended place (or doesn’t). Whereas we used to test concepts by showing a target customer group a concept car, we now have to build more of a living experiment to be able to truly understand the impact and implications of a concept in context. This could be the start of a new era for really great ethnographic research. Just like us at Nissan, OEMs across industries are likely already trapped in the evolution of smart connected products and will have to change and evolve methodology and processes to keep up with expectations. The questions that arise from this evolution will likely incent broader definitions of product, customer, and industry, and usher in the need for a systems view more indicative of how a practicing anthropologist would ideally scope out an ethnographic study. Horne, Ellen (executive producer). (2015, February 9) The Trust Engineers: Radio Lab [Audio Podcast]. Retrieved from http://www.radiolab.org/story/trust-engineers/. Porter, M. and Happelmann, J. “How Smart, Connected Products Are Transforming Competition.” Harvard Business Review. November 2014: 65–88. Uber.com. “Job Descriptions; Product Designer.” Accessed May 21, 2015. https://www.uber.com/jobs/4952. 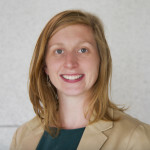 Megan Neese is a senior manager in the Future Lab at Nissan Motor Ltd., a cross-functional team tasked with uncovering new business opportunities for the future of automotive. Prior to this Neese has filled similar roles blending design and business as an associate director at BMW Group DesignworksUSA, a senior design strategist at Samsung Design America and a product planner at Nissan North America. As a consultant Neese has helped build design functions at two start-up firms and has led extensive research and strategy programs for clients such as John Deere, LG Electronics, Navistar and Direct TV. Neese holds a bachelor’s in industrial design and a master’s in product development from Carnegie Mellon University. Brilliant and fascinating. Thanks for bringing me into another aspect of the future, Megan!